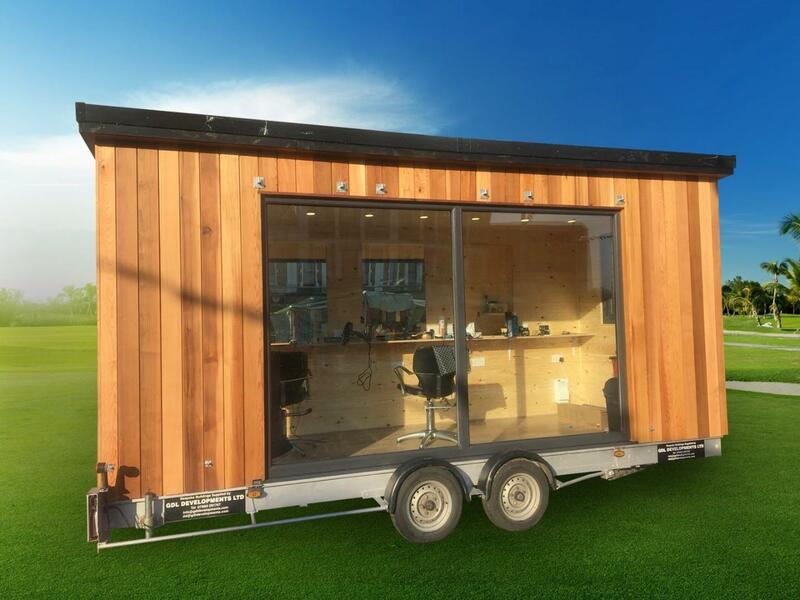 **CAN BE DELIVERED ANYWHERE IN THE UK** Brand New Stylish and Versatile Mobile Office- Studio unit, ideal for exhibitions, festivals, pop-up business, home use etc. This display model features Trailer approx 4.9m X 2.4m (approx 16' x 8'), Steel frame, Wooden Clad, Fully Insulated Floor, Walls and Roof, Laminate Floor, Interior Match Board Finish, Lights and Sockets (power supply required), Double Glazed UPVC Doors and Windows, Exterior Cladding in Western Red Cedar. Different sizes and spec can be custom built to order. For further information contact agents.